Danfoss – Flint Hydraulics, Inc.
"Best in Class" efficiency and performance. If you want top quality, long service life and efficiencies that provide the best value, choose Danfoss. 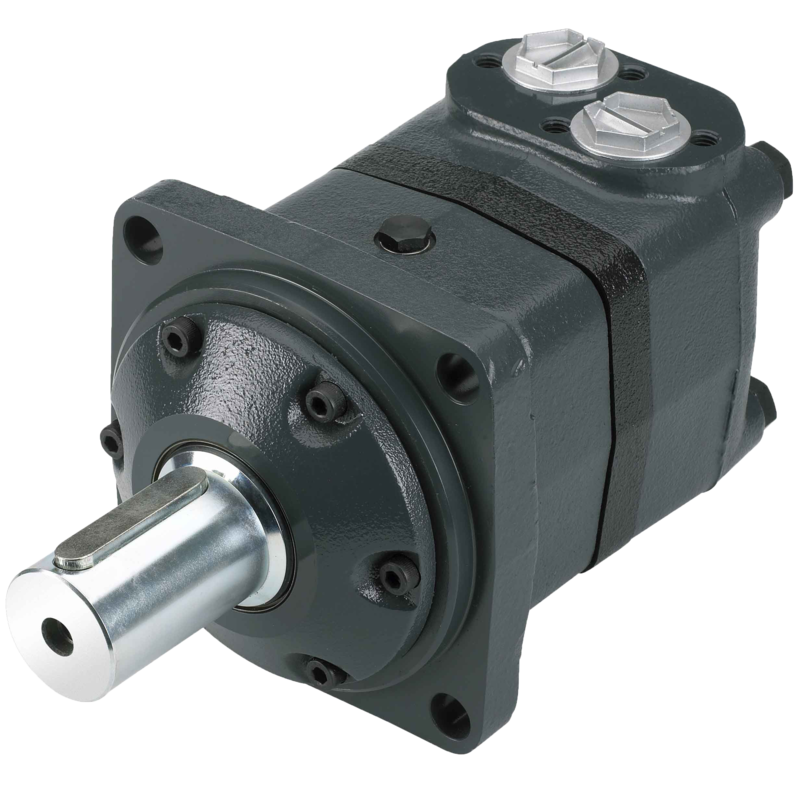 Flint stocks large quantities of motors from the diminutive OLL series to the OMV series. If the model you require isn't in stock, we can often convert from our extensive inventory. 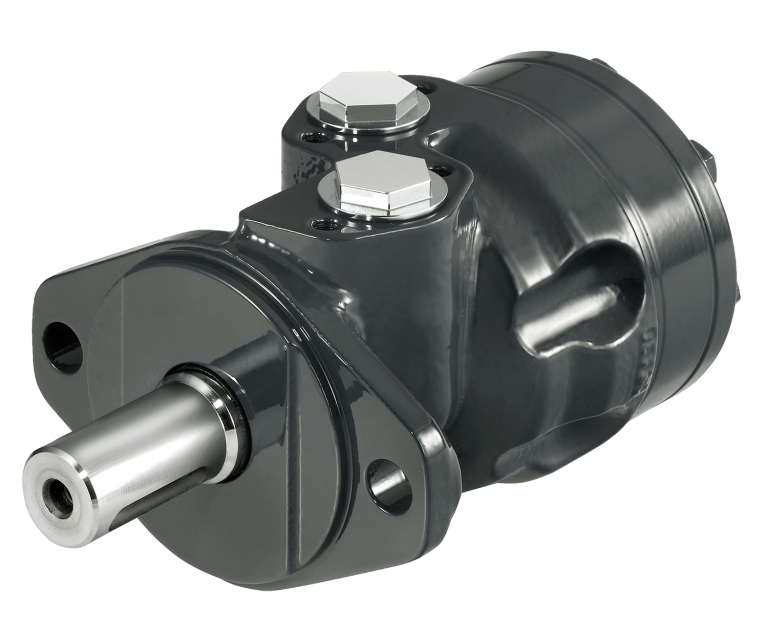 We are an authorized stocking distributor and Rapid Delivery Center for the Danfoss Power Solutions series of low speed high torque hydraulic motors. From the diminutive OML to the robust OMV series, the Danfoss family of LSHT motors are the world standard by which other brands of hydraulic motors are compared. 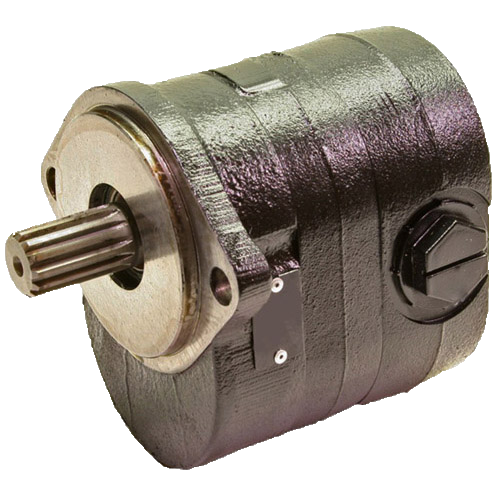 As a Rapid Delivery Center, we offer same or next-day conversion or assembly of most models of motors that might not currently be in our stock. 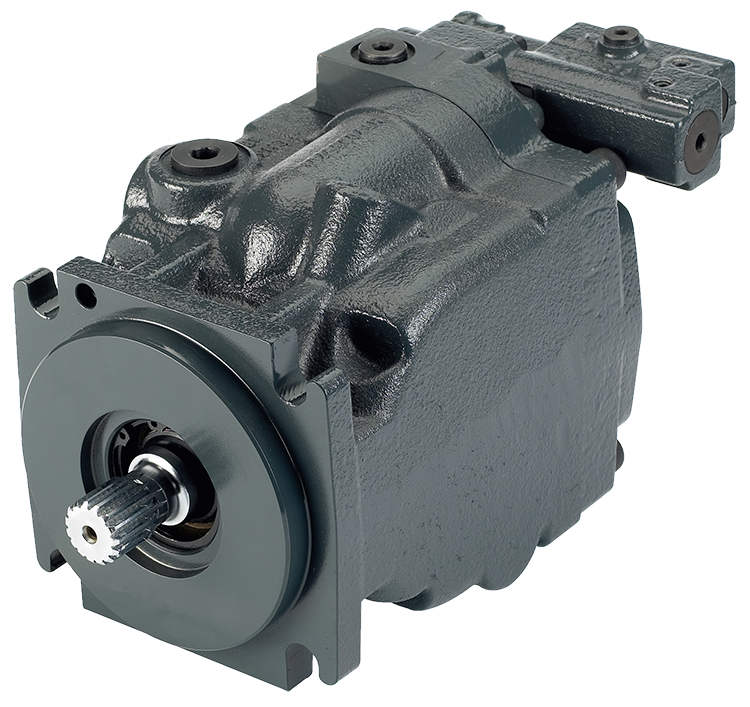 We offer competitive alternatives to most brands of LSHT motors such as: Eaton-Charlynn, White, Parker-TRW and many more. Our staff is skillfully trained in all aspects of the entire Danfoss LSHT motor product line and is available to assist with all your needs. Danfoss Power Solutions is an industry leader, and Flint Hydraulics boasts top-notch service. We welcome the opportunity to work with you. The PVG family of mobile proportional valves systems ranks "Best in Class" with unparalleled flexibility, control and performance. It is the most versatile mobile directional control valve line in the world. Among the members of the PVG family - PVG 16, PVG 32, PVG 100, PVG 120, and PVG 128 & 256 - more than 10 trillion assembly configurations are possible. Our large on-hand inventory of sub-assemblies means we can specify, build and test your required configuration and ship it the same or next day. PVG stands for Proportional Valve Group. 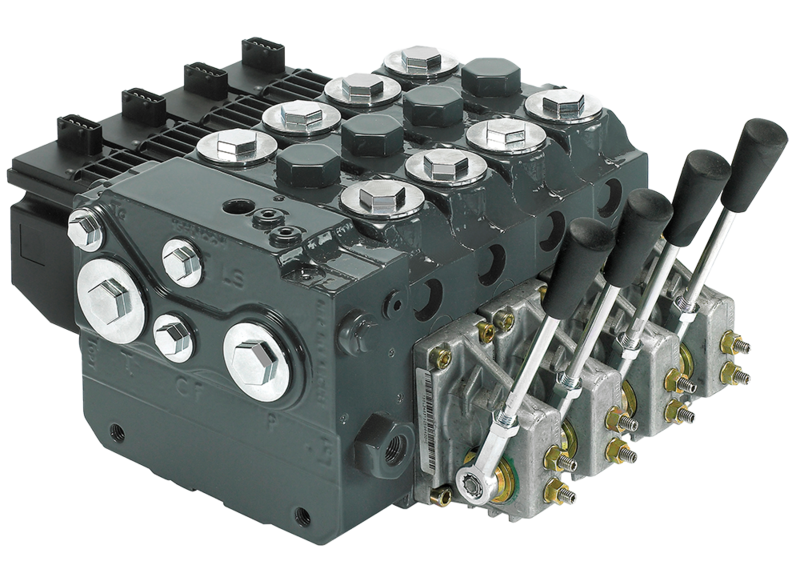 The PVG series makes up the most adaptable mobile hydraulic directional control valve on the market, with configurations including on-off solenoids, hydraulic pilot operators, pneumatic operators and manual handles. Most actuators can be mixed within one valve stack. We stock more PVG product than any Danfoss distributor, and our knowledge of the product is unequaled. We can assist in determining a valve configuration needed for your application, build, test and ship it same or next day. We are an Authorized Build Center for the Danfoss PVG 128 and PVG 256 valve series. Load sensing directional control meets manual, hydraulic remote, electrical on-off and proportional control for large high flow and high pressure applications. Flow rates climb as high as 100 GPM per spool with inlet flows to 350 GPM and pressures to 5,000 PSI, making all load sensing advantages available for high-flow applications. Open circuit control of large bore cylinders and high displacement motors are now possible, allowing control of multiple functions, higher efficiencies, reduced fuel consumption and reduced cooling requirements. These valves may be combined with rugged field-proven PVG 32 and PVG 16, allowing control of 100 GPM and 2 GPM functions with the same valve assembly. 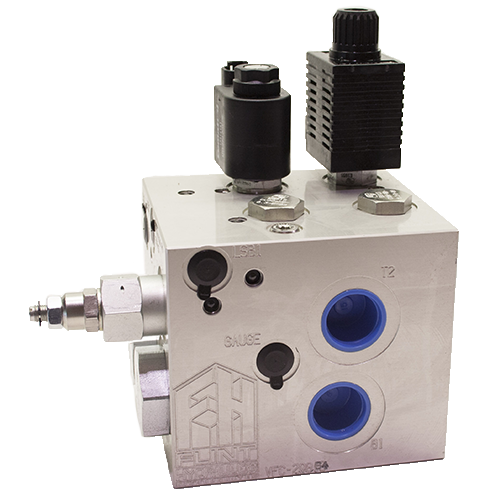 We are an Authorized Build Center for the Danfoss Eco 80 Series hydraulic load sensing directional valve group for mobile applications. The Eco 80 brings load sensing performance to lower flow competitive applications. Eco 80 may be configured with manual, hydraulic remote, electrical on-off and proportional control capabilities. Multiple spool variants and flow ratings offer load sensing performance and improvements like multiple function with proportional flow control in a compact, economical design. Load sensing control provides higher efficiency, reduced fuel consumption, reduced cooling requirements and other system advantages. 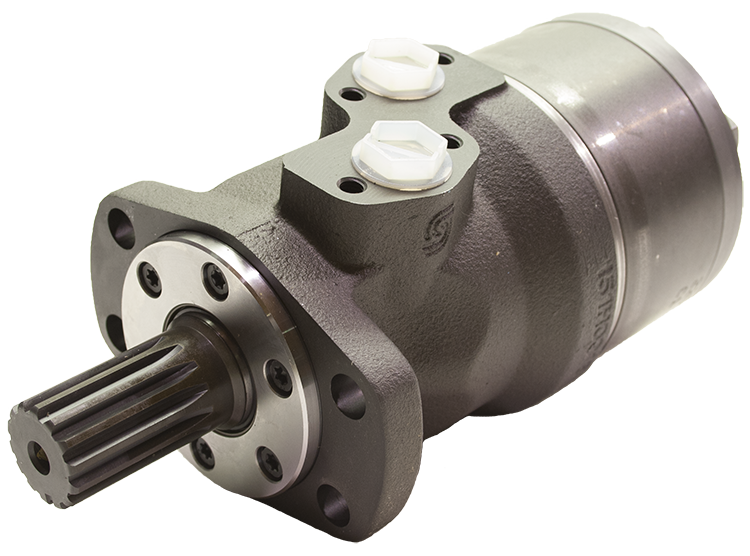 As a build center, Flint Hydraulics can quickly specify, assemble and test a valve configured to your unique application - same or next day in most cases. Series 45 open circuit axial piston pumps in sizes 35 CC to 130 CC with multiple mounting, axillary and control options provided at very competitive pricing and superior performance and life. Flint Hydraulics, Inc. is an Authorized Danfoss Rapid Delivery Center for series 45 piston pumps. Allow us to assemble your model from our extensive inventory of 45 series base models, controls and parts. 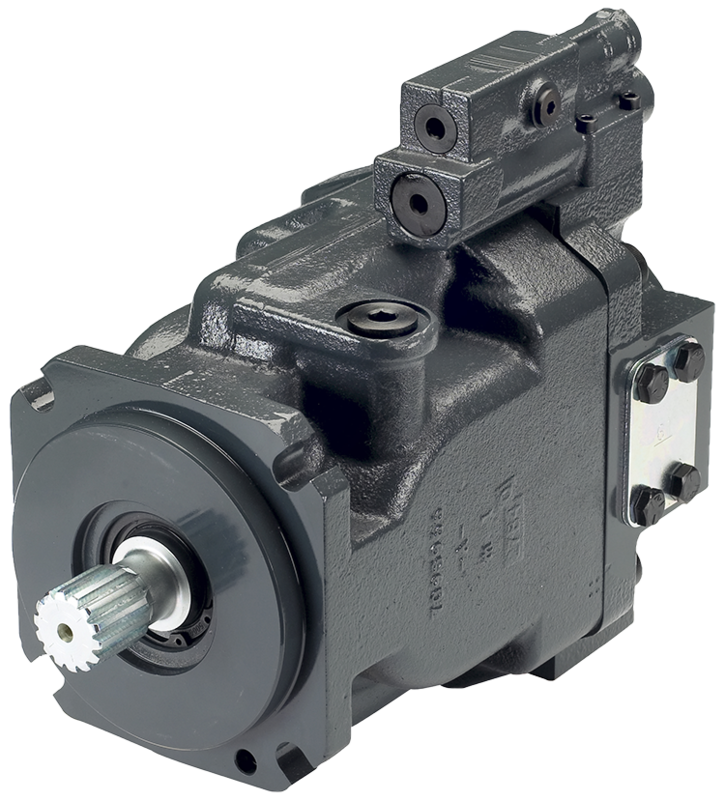 The superior performance and lower price of Danfoss 45 series pumps make them the ideal replacement for products such as Vickers, Rexroth and others. Flint can provide same-day conversion or assembly, testing and shipping of a Danfoss 45 series pump for your immediate prototype or service requirements. Danfoss Plus+1 controllers specified with Plus+1 compliant Danfoss joysticks, sensors, mobile electronics and hydraulic components provide control and efficiency improvements needed to compete in the mobile machinery business. These solutions offer the value-added benefits you an sell. We will assist in developing a complete electronic control system for your mobile machine applications. All controls can be configured to the specific requirements of individual applications so you are not limited to the functionality of “out of the box” controls. CAN-based Plus+1 micro controllers are the brains behind intelligent vehicle control, swiftly programmable to your specific requirements. Danfoss Plus+1 micro controllers bring intelligence to every node of a distributed control system. And they are equally effective for stand-alone control in smaller machines. Thanks to their rugged design, they'll withstand the toughest conditions your vehicle comes up against. Programming Danfoss microcontrollers requires minimum effort with easy-to-learn Plus+1 GUIDE software. 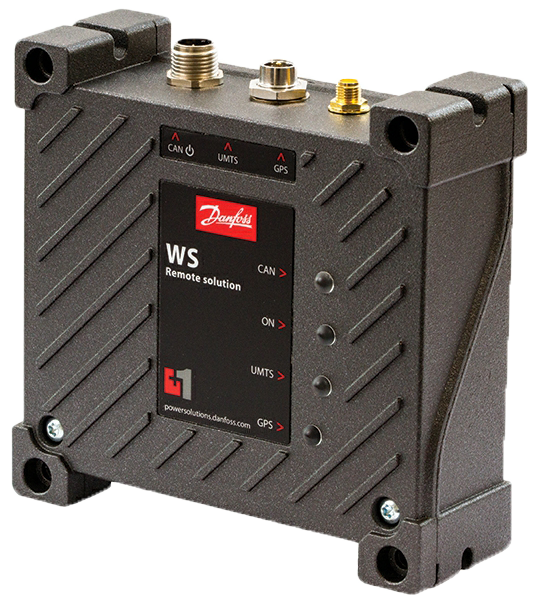 Danfoss temperature or pressure-detecting sensors link your machine functions to the control system. Plus+1 compliance supports easy integration. Many of the sensors are Plus+1 compliant, contributing to precision control systems on all mobile applications. Monitoring vehicle performance has never been easier. Danfoss displays give a customized all-in-one overview of your vehicle's CAN-based network, providing just what operators need for continuous monitoring, control and diagnostics. Many options are available with Danfoss Plus+1 programmable displays - from plug and play to customized operator interfaces with optional external cameras. Operators get a real feel for control with our wide range of joysticks. Endless configuration possibilities and ergonomic designs enable smooth and comfortable operation of your light or heavy-duty vehicles. Single- and dual-axis configurations, multiple mechanical and electrical interface options: our joysticks are as versatile as they come. 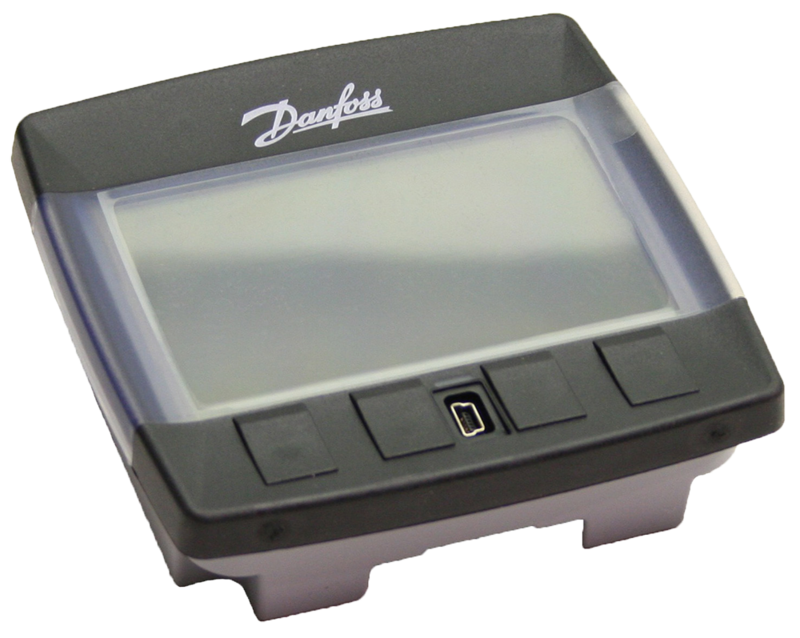 A complete ranges of modular Plus+1 compliant joysticks support Danfoss intelligent mobile control solutions. 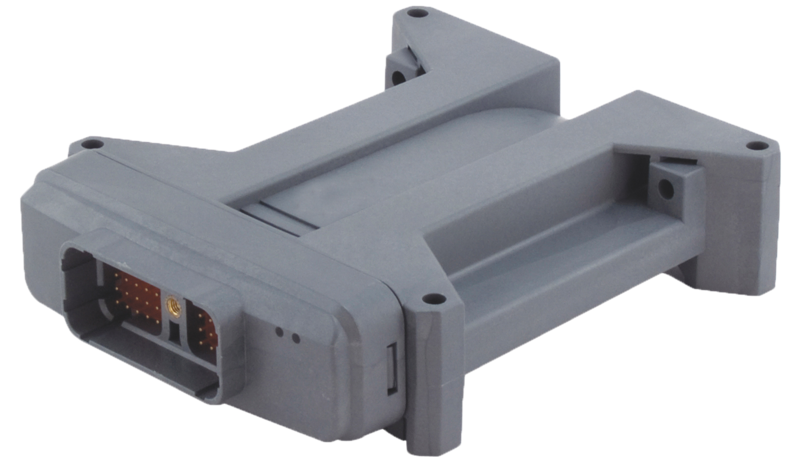 Select the joystick base for your application, and we will customize it to your needs. The possibilities include detents, friction locks, redundant outputs and switch functions. Hall effect and potentiometric sensing technologies are available. Match the base with one of our joystick grips, or let us help you develop a customized grip if your needs are unique. 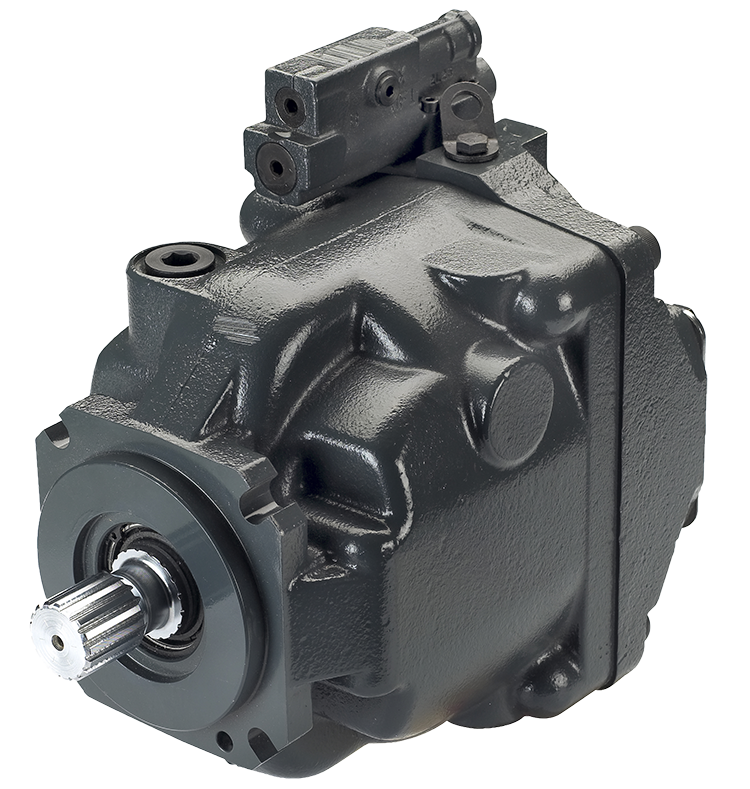 Twenty percent smaller than conventional gear products, Danfoss cast iron gear pumps give great power density in a small package. 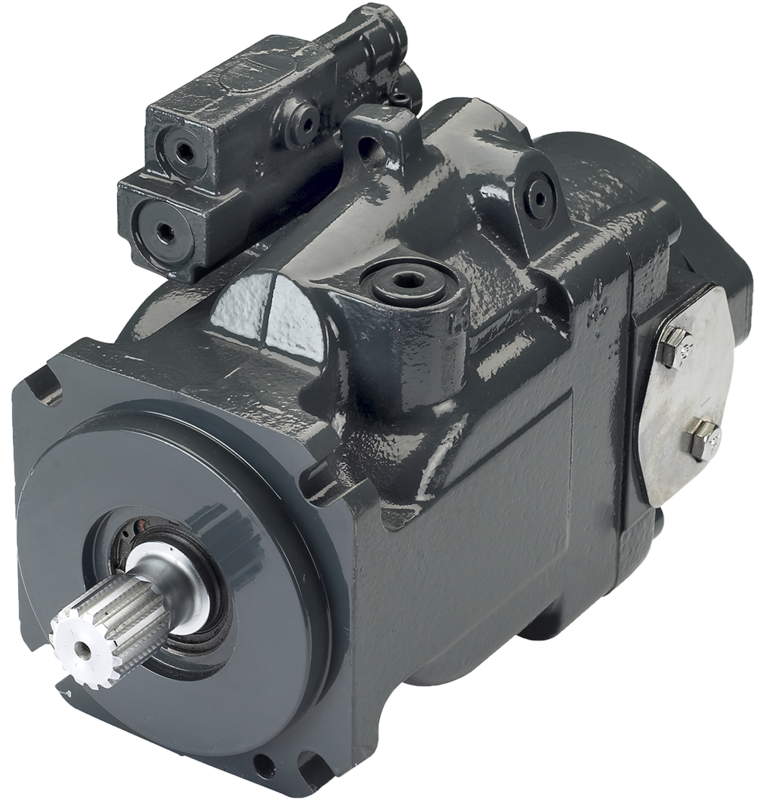 D-series pumps are known for their rugged, dependable performance under high pressure. Looking for innovative solutions for optimal machine control performance? Flint Hydraulics, Inc. represents Danfoss screw-in and slip-in cartridge valves. This comprehensive line includes pressure control valves, directional control valves, flow control valves, logic elements, proportional control valves, and several specialty valves. 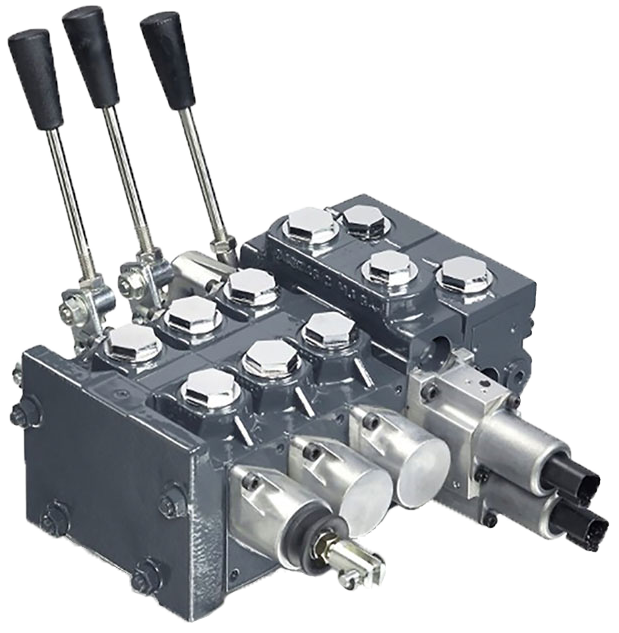 These versatile hydraulic valves can be used as stand-alone devices or can be built into custom manifolds. 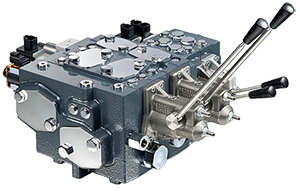 When combined with a Danfoss HIC manifold, a cartridge valve can control virtually any mobile or industrial hydraulic application. 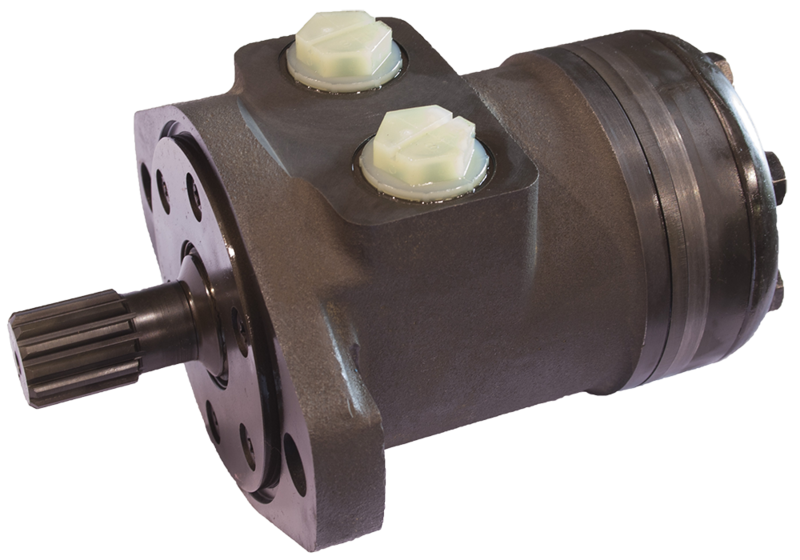 D series gear pumps offers single and multistage configurations with displacements from 7 CC to 45 CC (.43 CID to 2.75 CID), along with options including pressures to 4000 PSI, multiple standard SAE mounts and shafts, split flange, o-ring and BSP porting and many other customizations for your unique requirement. 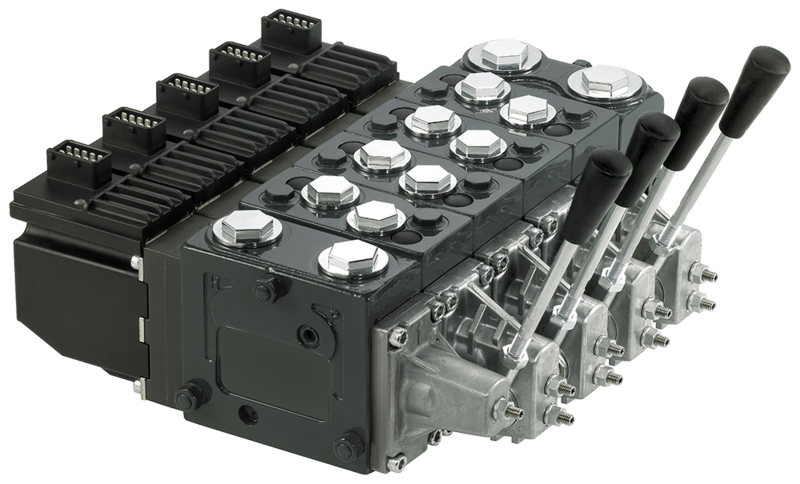 Danfoss hydraulic cartridge valves, manifolds and custom hydraulic integrated circuits (HICs) offer high performance machine control solutions. A proven leader in HIC design, Danfoss offers options such as cross-port reliefs, dual counterbalance, motor mount, and fan drives, as well as proportional, solenoid and mechanical valves. 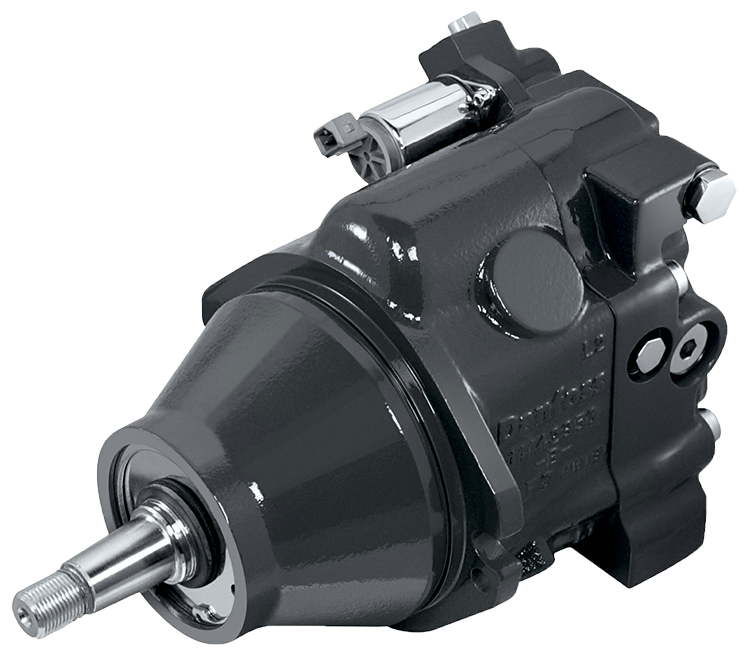 Flint Hydraulics, Inc. is an authorized Danfoss D series assembly center. Flint can provide same-day assembly, testing and shipping of replacements for competitive manufacturers in addition to your immediate prototype and service requirements. Many major manufacturers of skid steers, agricultural sprayers, pavers, wheel loaders and fan drives choose Danfoss D series pumps and motors. Want to find out why? Contact Flint Hydraulics today at 901-794-4884, or click the button below to request a quote.